Welcome to the 4th Annual Handmade Holidays Blog Hop! Today is the final day of our hop and I hope you have enjoyed all of the ideas that the bloggers and designers have created. It's really my hope, in being the organizer of the hop, that you find this hop list as a resource for making handmade gifts uring the holidays but also all throughout the year. There's an idea here to fit everyone oyur list and every occasion and my wish is for your to leave the hop inspired and ready to create! My final project is a bit of a simple one but goes along with the ever-so-popular rustic theme in home decor. 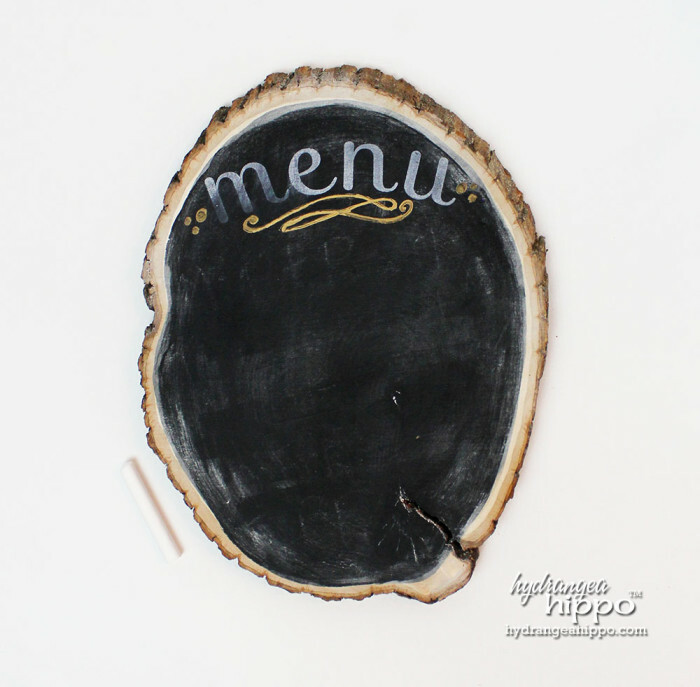 I loved the Walnut Hollow DIY Delivery Bark Edge Chalkboard Kit when I first saw it. 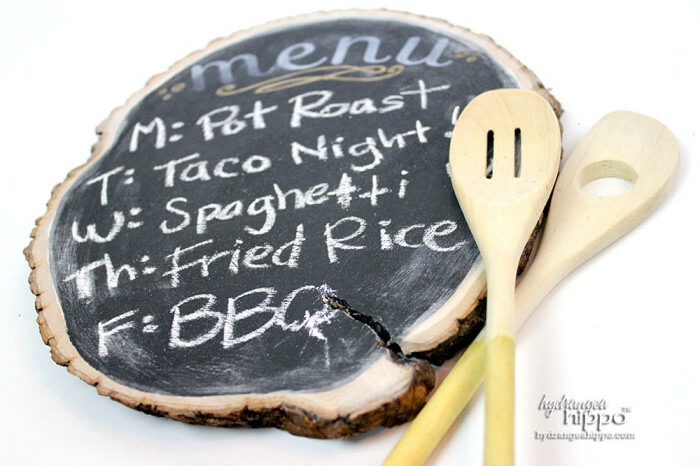 Walnut Hollow put everything you need to make the ever-popular bark edge chalkboards into a kit that costs less than $15?! I couldn't believe it either — amazing! 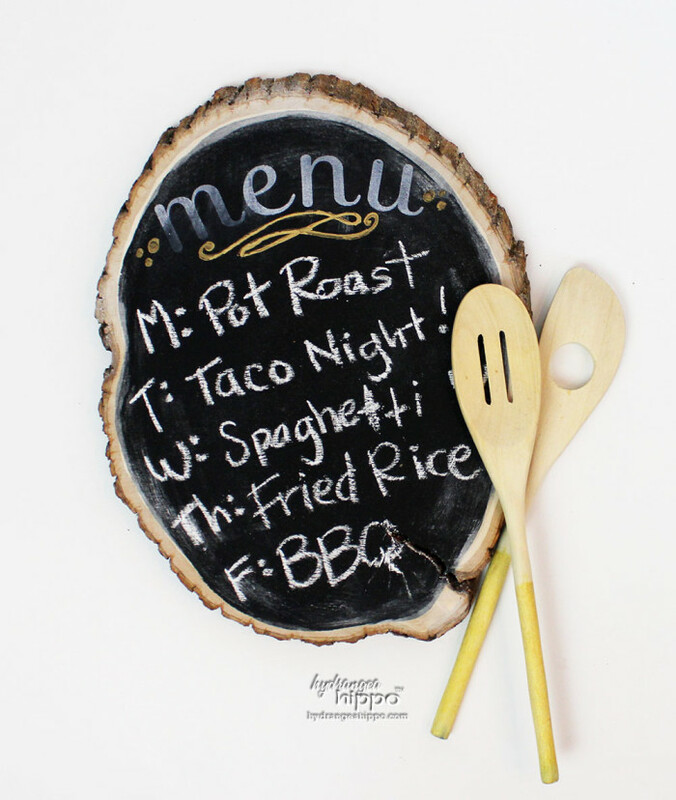 You can create TWO of these chalkboards with the kit. 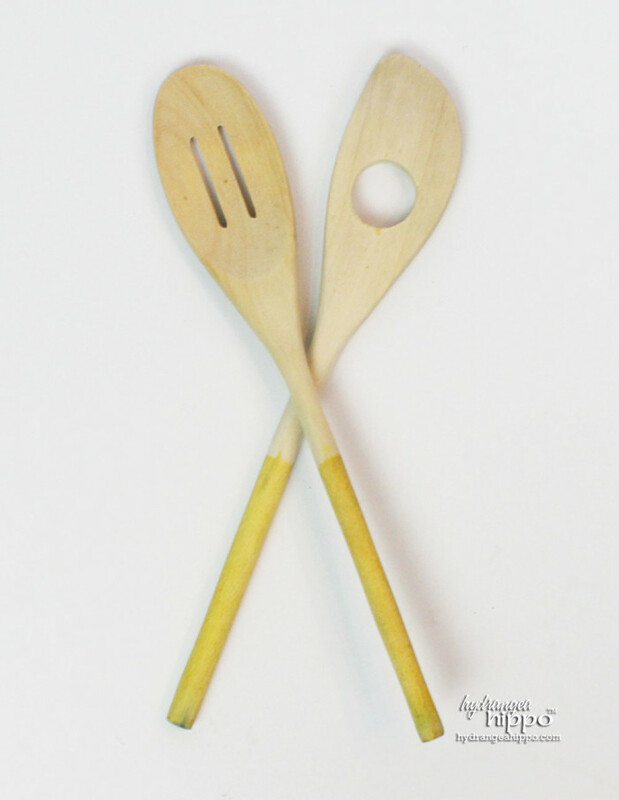 Pair them with wooden spoons, like I did, or oven mitts, a cookbook, or even an easel to display the board to make a thoughtful, unique, and on-trend gift. 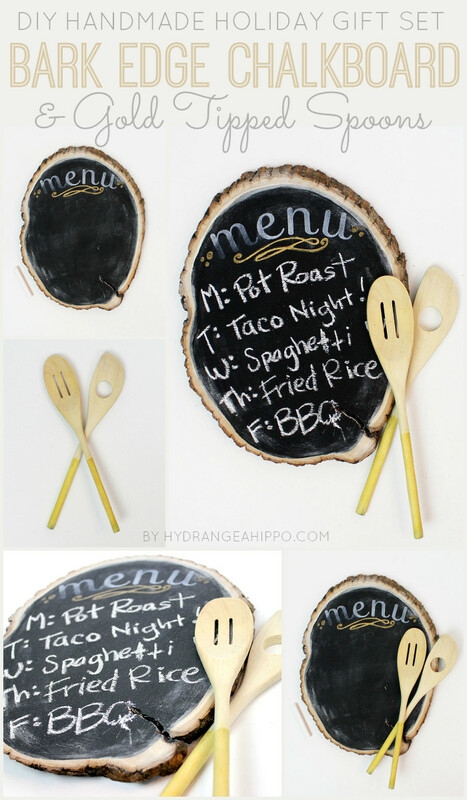 This gift goes together quickly, but there are a couple of hours of dry time needed for the chalk board paint. 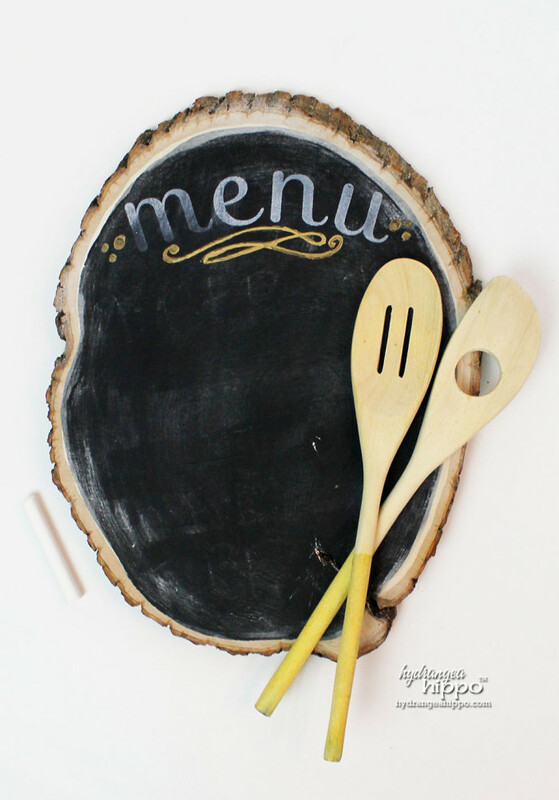 Bonus – there's LOTS of leftover chalkboard paint after making the two bark edge chalkboards in the kit so consider using the rest of the paint on an old mirror, picture frame, or cookie sheet to make more chalkboards. Who knew you could use ink to dye wood? Now, these spoons will lose the shimmer and sparkle of the ink if you let them sit in water or run them through the dishwasher so hand washing is recommended. Also, I wouldn't mix a batch of Kool-Aid with them – the spoons will be dyed watermelon red and some of the mica in the ink may end up in your drink. But they're pretty and you can totally serve a salad with them! The effect is so pretty and ethereal, not harsh like the spray painted spoons I've seen online. Are you inpired to make these? I gathered some handy dandy links to help you get the exact supplies you need for this project.